Welcome to Minuteman Sewer & Drain Cleaning. 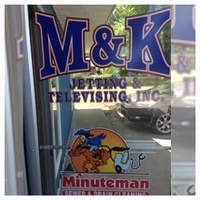 We are the residential and light industrial service division of M&K Jetting & Televising and the sister company of JK of Michigan. Since 1999, our experts have been providing comprehensive plumbing repair, sewer and drain cleaning services in Lansing, MI, Jackson, MI, and the surrounding areas. 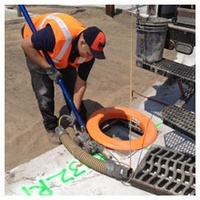 You can expect prompt, reliable sewer and drain service for your residential, commercial, or industrial property at a competitive price. Our expert technicians use the best technology for drain repair and sewer repair, including video inspection and high-pressure water jetting to find and fix problems in all types of drains. We offer drain services for kitchen sink drains, bathroom sinks, tubs, floor drains, storm drains, and more. Because drain and sewer problems can happen at any time, we offer emergency services 24 hours a day, 7 days a week in the Lansing, MI and Jackson, MI areas. We always make sure that your house is clean before we leave. We offer a 30-day guarantee and our TV truck operators are PACP-certified.